On the 12th March, 1878, a rather special child was born in Camigliano, a village in Tuscany, near Lucca. The name given to her at her baptism was Gemma, a most appropriate title for someone destined to shine like a jewel. What began as a happy childhood came to an end at the tender age of seven when her mother died of consumption. By this time, however, Gemma had imbibed her mother’s love of virtue and already spent much of her time in prayer. This favour was denied and eventually the child gave in. From then on she hardly left her mother’s bedside. This account might be dismissed as the fantasies of a seven year old, except for the fact that she only told the story in the autobiography she was instructed to write when she was 23 years of age, and it corresponded perfectly with other spiritual experiences she had during her short life. At the time Gemma’s father despaired of his daughter surviving his wife and he sent her off to live with his brother’s family who lived nearby. Her mother died that September and on Christmas Day Gemma returned to live with her own family. In 1887 Gemma started to attend a school run by nuns. They prepared her for her first Holy Communion. At her request they taught her about the Passion of Christ, giving her full details regarding the scourging, the crowning with thorns and the crucifixion. The child was overcome with sorrow and resolved from that time on to share in Christ’s sufferings. She became an ardent lover of Jesus crucified and prayed to be allowed to participate in His passion. Gemma’s prayers were answered in that as she got older she began to suffer from ill health. At the age of 14 she was obliged to leave school, much to the regret of her fellow pupils, with whom she was most popular. Her style of living would not have helped. After school she used to shut herself up in her room and recite the whole rosary on her knees. During the night she would get up several times in order to pray. When it came to eating she neglected to look after herself, being more concerned to find scraps to give to the poor. When she developed a foot ailment that necessitated surgery, she refused to take chloroform and bore the torture bravely. When Gemma was 19, her father died, leaving debts which resulted in his family being plunged into poverty and her going to live with her aunt Carolina. She accepted the loss of her father with great tranquillity, having been forbidden by Jesus to give way to useless grief. Her diary reveals that she was in the habit of conversing with Our Lord and also with her Guardian Angel, the latter appearing to her regularly. In spite of such favours she considered herself the most miserable and unworthy of sinners. Another habit was to confide regularly in her confessors, who were at first suspicious of her claims. Not long after her father’s death Gemma fell ill and developed a curvature of the spine, combined with spinal meningitis (possibly spinal tuberculosis) which caused her to go deaf. Her hair fell out and she became paralysed and was racked with severe headaches. She related how the devil appeared offering to cure her, and how she invoked the help of the Venerable Gabriel of the Sorrows, at the same time making the sign of the Cross. The devil promptly departed. In January, 1899, the doctors operated on an abscess in her side, cauterising her spine repeatedly. In spite of the resulting agony she refused to take chloroform. Towards the end of January another tumour made its appearance on her head, but her doctors decided she was too weak to undergo further treatment. A former teacher visited her and advised the making of a novena to Blessed Margaret Mary Alacoque for the grace of a perfect cure. She heard Blessed Gabriel of the Sorrows offering to join her in prayer. On the first Saturday of March, 1899, to the amazement of all concerned, she was cured instantaneously. 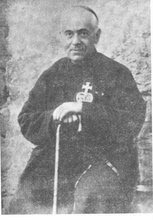 Gemma’s confessor at this time was a Monsignor Volpi. He sought the Archbishop’s approval for her to become a novice in the local convent. The request was refused since the Archbishop was not convinced that her cure was permanent. Once the vision was over she felt tremendous pain in her hands and feet, and realised that blood was flowing freely from them. Gemma had received the Stigmata. Her first reaction was to feel embarrassed and she tried to hide the marks of the Stigmata, but without success. The phenomenon continued, though it was unusual in that it occurred on Thursday evenings about 8 o’clock and continued until 3 o’clock on the Friday afternoon. As a rule, blood flowed freely, if intermittently, from her wounds, especially that in her side which mirrored the entry of the lance that pierced Christ’s side after death. The pain she felt was excessive. Amazingly, when the flow of blood ceased on the Friday, the flesh began to heal rapidly, so that by the following day the only trace of the wounds was a series of white marks. Only a few members of the Giannini family, with whom she lived after her father’s death, knew what was happening to their adopted daughter, and they kept the details secret to prevent unwelcome publicity. Gemma herself tried to avoid being seen in public, but gradually word spread around Lucca that they had a saint in their midst. Gemma’s spiritual advisors were concerned at all that was happening. Her main confessor, Monsignor Volpi, decided to introduce a medical doctor to pronounce on the validity of her Stigmata. Gemma was advised while in a state of ecstasy that the signs would not appear at the time of the doctor’s visit. And so it happened, to the good Monsignor’s deep embarrassment. Gemma revealed her Stigmata to him after the departure of the doctor. It seemed that God in His wisdom had refused to allow human science to sit in judgement. Her wounds were witnessed also by a Fr. Cajetan of the Passionist Fathers, and by the Provincial of the Passionists, Fr. Peter Paul, later to become Archbishop of Camerino. On 29th August, 1899, he described finding Gemma in a state of ecstasy, ‘totally transfigured so that she looked like an angel, although torn by terrible pain. From her face, head and hands there flowed fresh blood…lasting for about half an hour’. 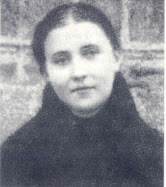 On the advice of Fr.Germanus, her spiritual Director and subsequent biographer, who was concerned for her health, Gemma prayed for the cessation of these outward manifestations. 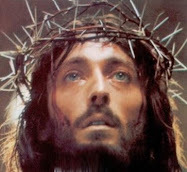 The signs of the Stigmata ceased, as did the punctures of the thorns on her head, and the lacerations marking the scourging which she had also endured for over two months. Significantly, the pain associated with the Stigmata continued, so that Gemma was able to carry on suffering with her Saviour as she wished. To add to her suffering, Gemma was plagued by visits from the Devil. As well as taunting her verbally, he attacked her physically, knocking her about and tearing out her hair. On one occasion she was so anxious to get away that she threw herself into a tank full of water and nearly drowned. She suffered such humiliations without complaining in the belief that God allowed them in order to strengthen her in her efforts to achieve perfection. She called the Devil ‘Chiappino’ and mocked him when her prayers caused him to flee. Gemma’s account of her life, written on the instruction of her spiritual director, was ‘stolen’ from a drawer in her adopted mother’s house before her director had an opportunity to read it. On discovering it had gone missing, Gemma wrote to tell him that the Devil had boasted to her : ‘War, war, thy book is in my hands !’ Although he was nearly 400 miles away, a distraught Fr. Germanus decided to exorcise the Devil while visiting the tomb of Blessed Gabriel of the Sorrows. That same hour the manuscript was restored to the place from which it had been taken. The only difference was that it was badly charred, though still legible! Gemma was frequently found in a state of ecstasy. Although normally she kept her eyes modestly lowered, when this happened she would unconsciously raise her eyes to heaven, allowing onlookers to see in them the beauty of her soul. Far from being vain, she never risked looking at herself in a mirror. During one particular ecstasy, while contemplating the large crucifix in the family dining room she witnessed her crucified Saviour moving his right arm from the Cross as he called her to Him. Suddenly she found herself raised in the air, embracing Him with both arms. Difficult to believe, but not impossible for a saint such as she had become. While helping conscientiously to carry out all the household chores that fell to her, Gemma spent much of her adult life endeavouring to be admitted to a convent. Eventually she gave up the ambition for herself, while persevering in efforts to see a local convent established in Lucca. She correctly forecast her own death six months before it occurred. 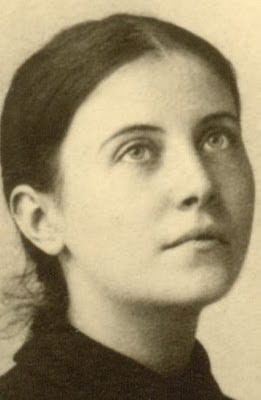 After the miraculous cure of her spinal disease in March, 1899, Gemma Galgani remained in comparatively good health until Pentecost, 1902. She had offered herself to God as a victim for the salvation of souls and the the offer was accepted. She fell dangerously ill. For two months she was unable to eat and was barely able to drink. Her misery was compounded when God seemed to have deserted her. Her adoptive relatives wrote urgently to her spiritual director, Fr. Germanus. ‘Gemma is very ill,’ they said. ‘She is reduced to skin and bone, she suffers excruciating torments and internal pains that terrify. She feels great want of you. Come quickly to tell us how to act.’ For a while she derived some comfort from his arrival, but he soon had to leave and she remained without his comfort and support. She was not to see him again. Gemma’s doctors diagnosed tuberculosis and pointed out the danger of her infecting members of the family she lived with. Although they were reluctant to see her go, one of Gemma’s aunts rented a small apartment adjacent to their house, to which she was taken on the 24th of January, 1903. For a while she managed to drag herself each day to a nearby church in order to receive Holy Communion, but soon had to give this up. To add to her misery the Devil renewed his assaults, trying to persuade her that she had been abandoned by her God and that she was a deceitful hypocrite. The sprinkling of holy water in her room provided some relief, but the Devil soon returned and continued to plague her. He made the food placed before her appear to be covered with disgusting insects, so that her returning appetite was stifled. Gemma had spent the latter part of her life sharing the Passion of Christ, the Stigmata, the scourging, the crown of thorns, the agony of soul, so it was fitting that her final days would find her on the Cross with her Saviour. On Good Friday, in a state of ecstasy, she spread her arms out wide as if she were indeed on the Cross. News spread quickly of the death of a girl who was said to be a saint. Reports of her sanctity spread abroad. Fr. Germanus’s biography of her life was published in 1907 and within two years more than 23,000 copies were sold. Requests poured in for permission to translate the biography into many languages. The reigning Pontiff, Pius X, recommended it unreservedly to the faithful, while many Cardinals, Bishops and other members of the clergy expressed their admiration for one they were convinced would soon be recognised by the Church as a saint. The Bishop of Fiesole in Tuscany wrote : ‘In tears I have thanked Our Lord, that a lily so beautiful and sweet has grown and flowered in our midst.’ Many correspondents described the lasting impact the work had on the way they lived their lives. Padre Pio copied, word for word, entire tracts of Gemma’s writings into his own letters. A case of holy plagiarism at its best! Before any servants of God can be recognised by the Church as saints, proof has to be provided that miracles have taken place as a direct result of their intercession. In the case of Gemma Galgani, numerous miracles followed after her death. One such related to the case of Philomena Bini of Pisa, aged 72, who suffered for a long time from a malignant stomach disease diagnosed as cancerous ulceration. The doctors declared her to be terminally ill and stopped all treatment. 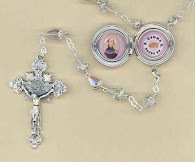 A relic of Gemma was placed on her body and she fell into a deep sleep. Next morning she awoke completely cured. X-rays showed the cancer had disappeared. Her wounds were instantly healed. Physicians later attested to this cure as being miraculous, as is required by the official canonization process. On 26th March, 1939, Pope Pius XII officially recognized both miracles and Gemma was canonized by him on 2nd May, 1940. 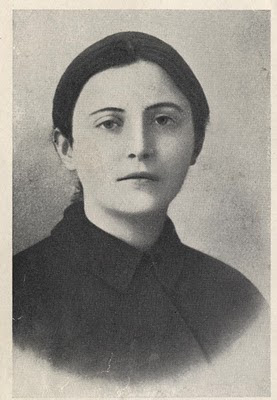 She who referred to herself as ‘poor Gemma’, became Saint Gemma Galgani. Hers is an amazing story. Gemma could see and talk to her Guardian Angel, had intimate contact with Our Lady, spoke frequently to Jesus on receiving Communion, successfully fought off the Devil, and yet regarded herself as an inveterate sinner. She considered pride to be her worst fault, even though she was totally modest in her behaviour. Throughout her life she strove to achieve greater perfection and to establish a horror of sin, positively embracing suffering. It seems that God allowed her to do so in order to provide an example of perfection to us ordinary, sinful mortals. -"The Life of St. Gemma Galgani" by Venerable Fr. Germanus, C.P. "I am in two minds about the biography, believing (as Gemma did) that the greatest of all virtues is humility, but here goes (and the less you publish the better! I was born in Birkenhead (near Liverpool) in 1929. From the age of 9, I attended a boarding school run by Jesuits, later scraping through an English degree at Liverpool University, followed by a Diploma in Education. Immediately after qualifying, I got married and was appointed by the Colonial Office to the post of Education Officer in Northern Rhodesia (now Zambia). This involved administering and inspecting African schools, a most enjoyable experience. Twelve years and four children later saw us back in England. After a year's teaching in a tough Secondary Modern school in Birkenhead (where the kids played tick with hatchets), I moved into administration again in the same area, concentrating mainly on handicapped children. Hobbies: Watching rugby and writing, mainly short stories and religious articles. There you have it! You should not need half of that. Please pray for GEMMA JOSEFA CARROLL who was named after two great saints she has a rare disease called SCIDS. she 34 days old and she just received a bonemarrow transplant on july 22 please keep this angel in your prayers . Thank you for maintaining this page. Having been Catholic all my life I had never heard of this Saint until a friend mentioned her, by name. It will take awhile to read all that you have here. This is just something that happened to our family----it could possibly give faith to someone who is lost. My son and his family were rear-ended right in front of our home, with 3 children in the car. 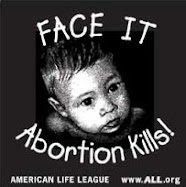 My husband thought that our grandchild, Jillian was dead, as she was sitting in the seat that was hit hardest. He ran out to then, going to Jillian first---there she was 3 years old, saying grandma Marcia saved me. Later I asked her how did Grandma save you? She answered "She put her arms around me". My mom had died a year before, of natural causes, she was 85. Thanks Bernadette for sharing this inspiring true story---I sincerely appreciate it.